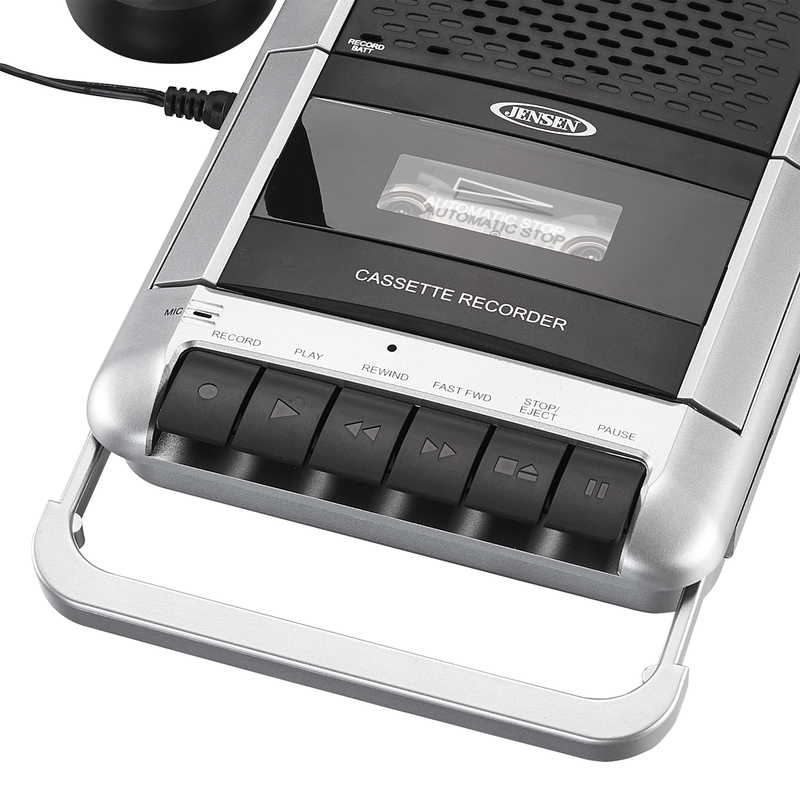 JENSEN® brings back an old favorite with the MCR-100 “shoebox” style Cassette Player/Recorder. 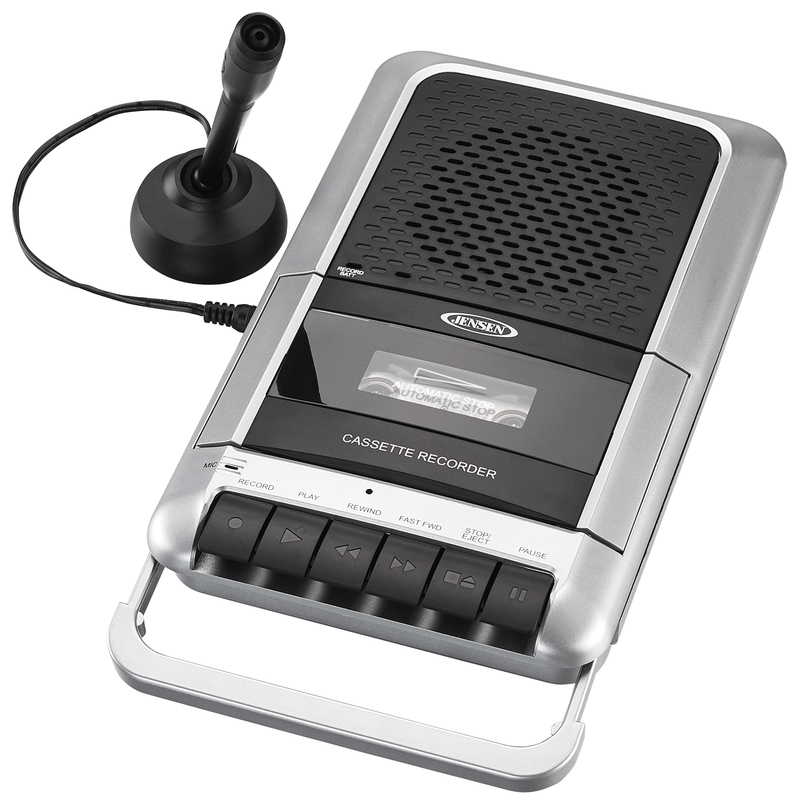 The unit includes a top loading cassette deck that both plays and records along with a retractable carrying handle for taking it with you! The unit features easy to use buttons, a one-touch record button, and an automatic voice level control. 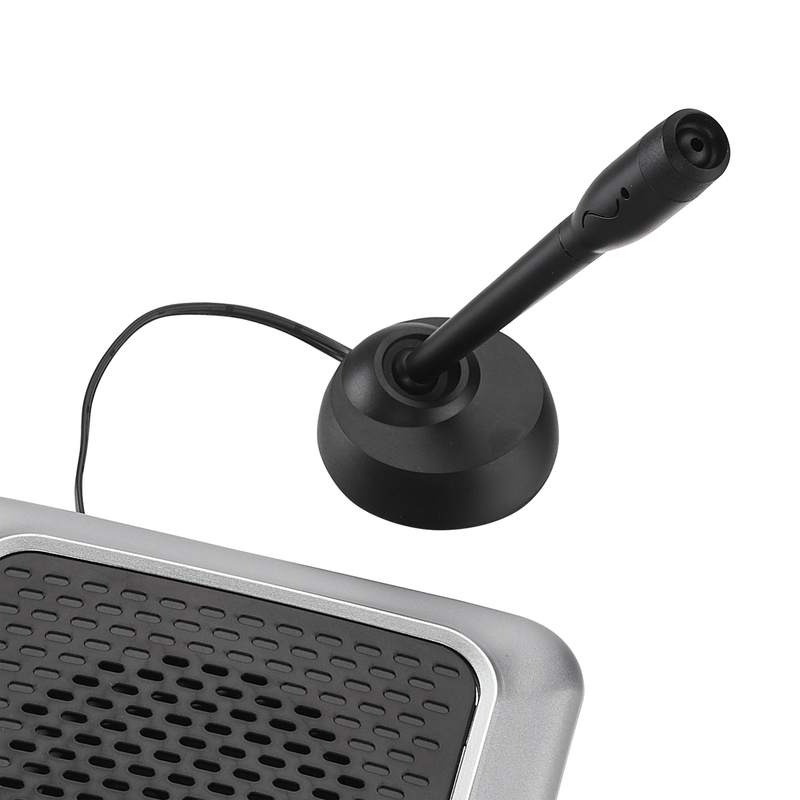 You can record using the built-in microphone or the included external microphone with handy desk stand. A headphone jack is included for private listening, and you can attach other players to the unit using the auxiliary line-in jack. 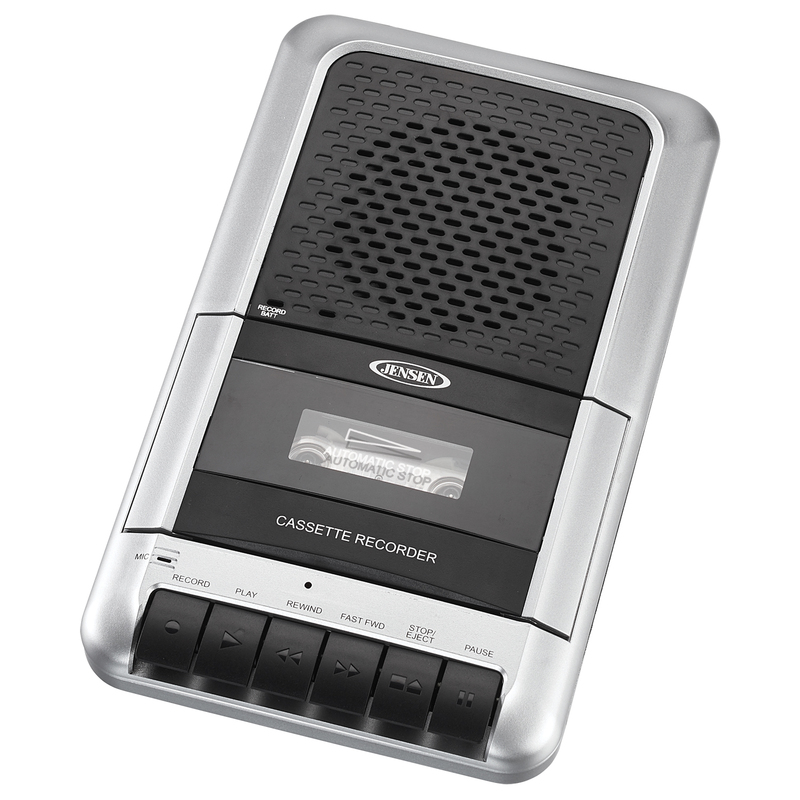 The MCR-100 operates on four (4) x "C" size batteries (not included) or with the AC adaptor (included).